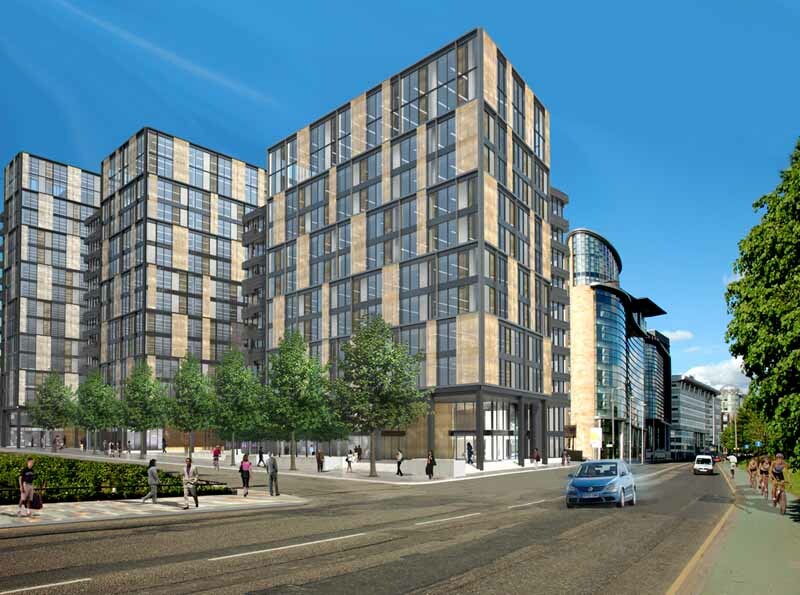 Make architects have submitted a detailed planning application for Gladedale Capital Ltd for 500,000ft2 of commercial office space in Glasgow. 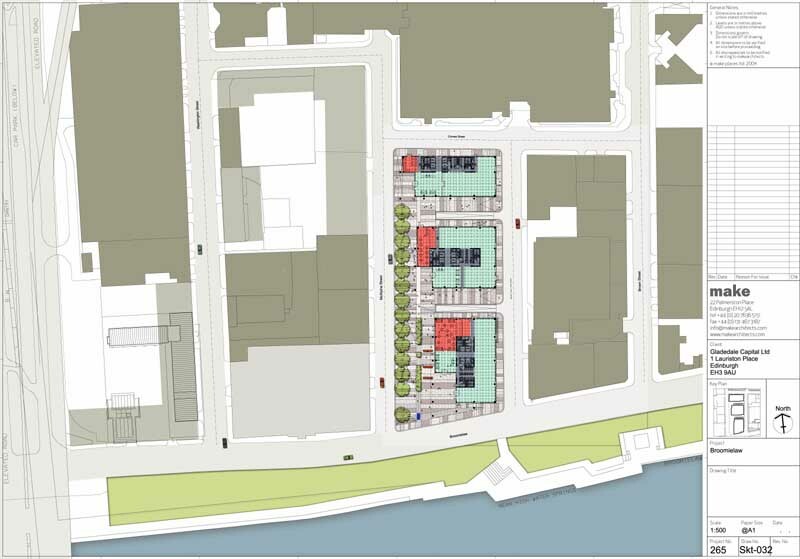 The site occupies a full city block located on a river frontage site on the north bank of the River Clyde at Broomielaw. The master plan embodies the principles of Glasgow City Council’s Broomielaw masterplan by increasing permeability in an area characterised by long north-south blocks. The three new buildings are arranged orthogonally along the eastern edge of the site and increase in height and width away from the river frontage. 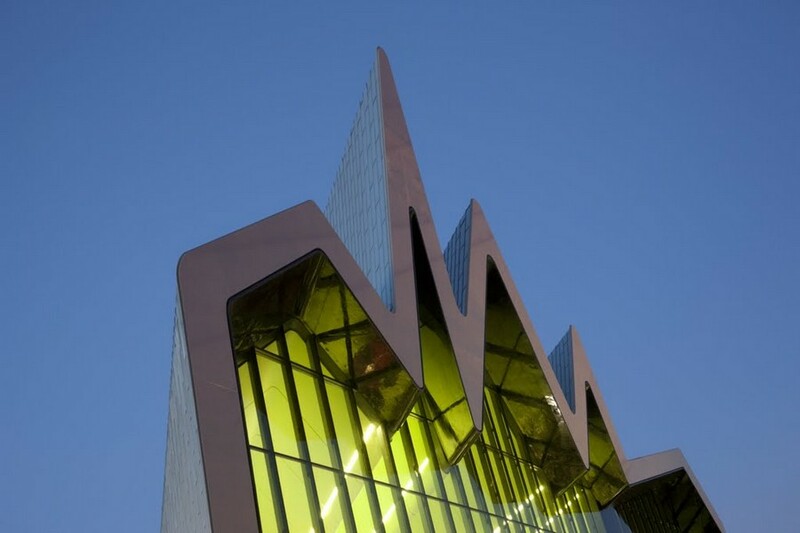 The arrangement maintains the Glasgow city grid pattern, whilst improving visual and physical permeability across, and through, the site. The buildings are integrated with a new linear, sunlit public space which will connect pedestrians with the river. 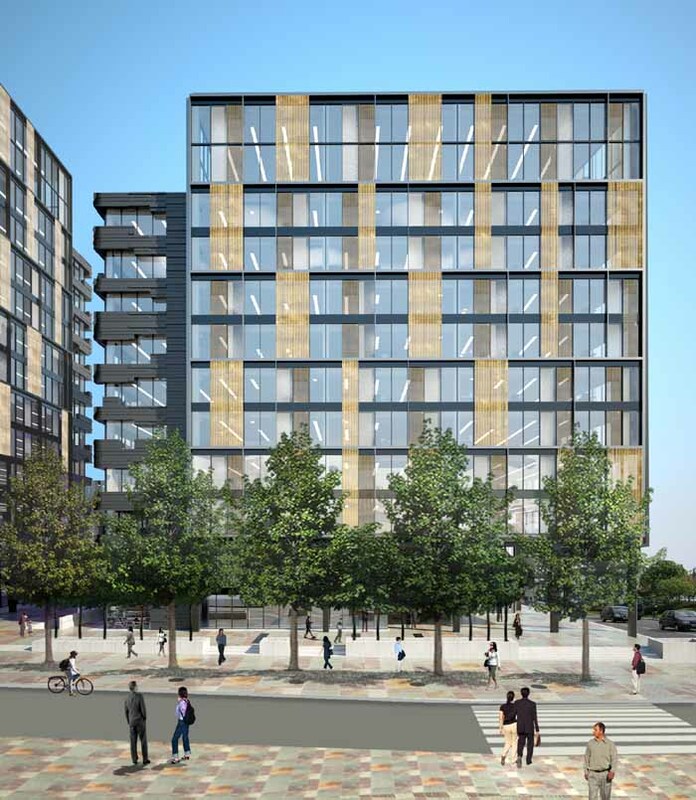 Active frontages will be provided at ground level, adjacent to the space, with retail units and cafes. 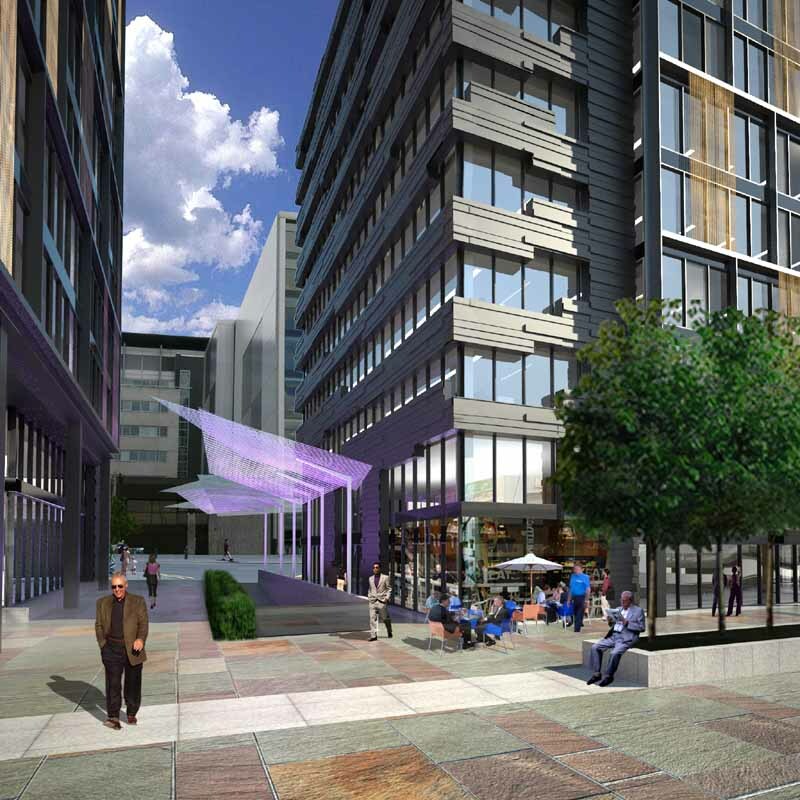 The new office space will bring a critical mass of new pedestrian activity to the area, which forms part of the Glasgow International Financial Services District (IFSD). The Broomielaw river frontage is presently a hard, unforgiving, environment on the land side of the road. The proposal is a response to the need for some public realm in the area which will connect with the river and benefit from sunlight and activity to encourage public use. The buildings are composed of two, rectilinear, forms which break up the scale and provide a diagonal emphasis towards the Kingston Bridge. The building envelopes reflect this, and are designed to provide excellent environmental performance with a mix of metal mesh shading on the south and west to control solar gain, and more solid facades on the east and north. The buildings will be some of the first in Scotland to address the new energy regulations. The “mesh” façades employ both external “white” gold anodised mesh and mesh integrated within glass to create a layered effect, bringing richness and contrast to facades. Make were appointed following a limited architectural competition held by Gladedale which included Cooper Cromar, Elder and Cannon, Foster and Partners and Rafael Vinoly.